Grahame Davidson | All things Marketing etc. PERSONAL THOUGHTS AND MUSINGS ON MARKETING & MANAGEMENT BY GRAHAME DAVIDSON. A US survey1 of CMO’s revealed the following as the 3 biggest challenges facing marketers. Consistency: building and maintaining consistency in line with the brand platform. Clutter: combatting brand clutter amidst the growth of omni-channel marketing. Cash: as executives seek short-term results, brand leaders often face insufficient funding required to build the company’s biggest asset, the brand. Enter brand positioning. Together with segmentation and targeting, brand positioning plays a pivotal role in overcoming challenges like consistency and clutter. Positioning is so fundamental yet a complexed concept even marketers at times grapple with. Positioning is an essential element in shaping the brand image and should be carefully crafted using deep customer insight. So, what is positioning? Positioning is how a customer perceives the brand (or product). Al Ries and Jack Trout in their ground-breaking work on this, talks about focussing on the mind of the customer instead of focussing on the product. Target consumer: A description of the target consumer in terms of demographic, geographic, psychographic, or life style segmentation. Frame of reference: In positioning the marketer needs to establish a frame of reference in the customers mind. Frame of reference helps consumers understand the product category. Indeed, some texts will refer to this as the brand or product category. In an era of clutter and because our minds process information In a logical path establishing the frame of reference is crucial. In the example shown below “Goat Milk Soap” acts as the frame of reference. Point of Difference: This could be a key product or service attribute that has a distinct differentiation from the competitor. Some marketers refer to this as the key benefit statement. Often a point of difference is used to indicate how a brand is superior to other alternatives. In the example below “most natural bar of soap” is the point of difference. Reason to believe: A claim that can back the frame of reference and point of difference. To illustrate the above, I have a made-up an example of how to position Zagros Goat Milk Soap. Zagros Goat Milk Soap (frame of reference) is the most natural bar of soap (point of difference) you’ll apply on your skin. Zegros Goat Milk Soap is carefully formulated for those with sensitive skin (target consumer) with a no questions money back guarantee (reason to believe). Positioning can be emotional, rational or both. The end result of a coherent positioning statement can be applied across all the marketing mix elements such as product development, marketing communications, pricing, channel distribution, and other touch points of the brand. There are as many theories on this topic as there are writers. However, based on consumer behavioural studies, most respected scholars make some fundamental conclusions on how marcomms work. It is important to be clear that there are 3 levels of effects (processing phases) going on in the customer’s mind simultaneously during the marketing communication process1. The 3 stages are interlaced, and therefore marketers should pay attention to the fact that, the campaign communication process should be looked at in a holistic manner. For further analysis I’d like to focus on the Brand communication effects phase. Kotler and Keller refers to the Brand communication effects stage as the consumer decision-making process which covers Total set, Awareness set, Consideration set, choice set, and Decision. The Engel, Kollat and Blackwell model is another ground breaking finding on this topic. The category need (consumer need) can arise through a natural circumstance (e.g. no milk in the refrigerator) or as a result of a marketing stimuli (advert for half price cereal promotion). Marketing communication campaigns could have specific and/or several campaign objectives. However, the 2 most universal communication objectives are – building Brand Awareness and Brand Preference. Brand Awareness is boosted by Brand Recognition (at the point of purchase) and Brand Recall (prior to purchase). Brand Recall is an important indicator in measuring Brand Awareness. Brand Preference (AKA Brand Attitude) is the customers attitude towards the brand and can be measured at pre-campaign and post campaign state. Brand Preference tactics are developed on a formula of A0=B1+E1 where A is brand attributes, B is belief, and E is evaluation. I will share in a future blog tactics associated with building Brand Awareness and Brand Preference. To conclude (albeit simply), a positive brand attitude will result in a favourable purchase intention. Why should the enterprise embrace B2B e-Commerce? The B2B e-Commerce market will reach $1 Trillion by 2020. By then it will be twice the size of B2C e-Commerce. Yes, twice the size of Amazon, Apple, Wal-Mart, Ali Baba and all other B2C e-Commerce players combined. It is also predicted that this transformation will see B2B e-Commerce laggards see revenue decline as sales increasingly shift online1. Stats aside, what is it that’s driving this huge shift in B2B global trading? High on today’s enterprise agenda is ensuring Chief Procurement Officers (CPO) are building more efficient, compliance driven, effective methods of supply chain management. In deed the move from paper to paperless has in large part also been due to the risks associated with lack of commercial governance, uncontrolled contract variations, poor procurement standards, Maverick buying within organizations, and exposure to commercial, legal & financial risks. The B2B e-Commerce transformation of the modern enterprise has also meant that in the context of procurement activities, fax, email, and even telephone is now passé. High on the CPO tool box are e-Procurement systems and Work Flow Collaboration solutions. Cutting edge e-Procurement solutions offer easy and efficient electronic Purchase Order (e-PO), invoicing (e-Invoicing), and shipment tracking tools. 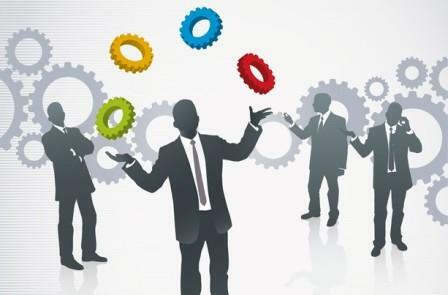 Work Flow Collaboration solutions range from simple request and response to complex asset management tools. Some of the trending topics among the B2B e-Commerce fraternity are listed below for discussion. Catalogue Integration is a major focus for best in class companies. The main forms of integration are PunchOut catalogues and CIF (static) files. PunchOut Catalogues are classified as level 1 and 2.
e-Signature and e-Contracts are high on the deployment list. Companies are looking towards customized buying portals. The top 5 priorities for the CPO in the next 3 years are – Savings, Processes, Compliance, Innovation, People2 . 1. Forrester Research – Forecast view, May 2015. 2. Ardent Partners CPO Rising research. The world is at the cusp of some amazing technological shifts. In fact, the next decade will bring about technological revolutions never before seen on this planet. As the world awaits Google and Uber driver-less cars, Alibaba’s drone delivery systems, we are now witnessing a global village that is centered around technology. What this could also well mean is that the world will need to manage these technology shifts. Thus Smarter Data, Smarter Networking, and Smarter Cities will be the imperative. The world is more entwined now than ever. However, whilst these changes bring about massive opportunities, it also inevitably creates challenges to society and the enterprise alike. Of the 3 imperatives mentioned above, Smarter Cities is a (not so new) idea that is gathering steep momentum. As the debate for climate change continues, as the world devours more energy, and blows out more pollution, the concept for Smarter Cities will continue to gather momentum. This brings me to the main point of this blog. What could this mean for Marketers? Smarter Cities will and have brought about unprecedented opportunities for those companies who care to demonstrate good corporate citizenship. Organizations who have embraced the idea of “Smarter Cities” are not only perceived as good corporate citizens but have invented products and services that lend greater value to the planet. A city is “smart” when investments in human and social capital and traditional (transport) modern (ICT) communication infrastructure fuel sustainable economic growth and a high quality of life with wise management of natural resources, through participated governance. (Caragliu, Del Bo, Nijkamp). The world is accustomed to initiatives such as “Green Planet” and “Societal Marketing”. Brands such as Body Shop and Toyota were early adopters of these concepts. Today Toyota consistently ranks as the top “Green” brand in the world with inventions such as the Prius. 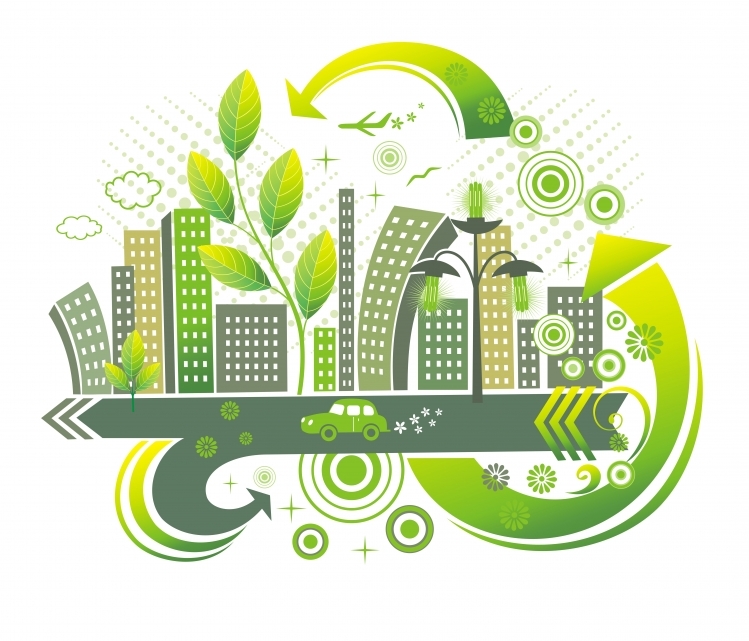 Smarter Cities is the 21st Century’s approach to “Green Planet”. 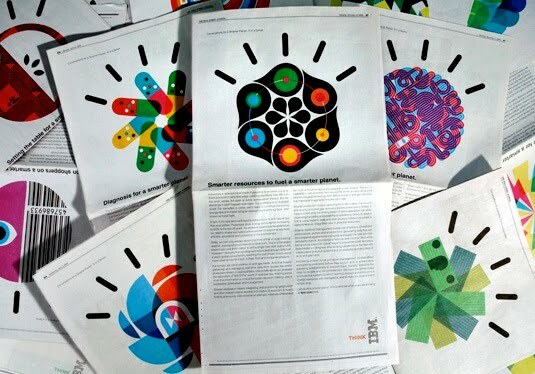 Leading the charge is global tech giant IBM with its global campaign “Smarter Cities”. Here in ANZ IBM has actively partnered with Perth, Ballarat, Gold Coast, and Christchurch cities in order to build Smarter Cities that are faced with the challenges of the 21st Century. By deploying big data analysis tools IBM assists in numerous smarter strategies such as building smarter transportation, water & waste management, smarter buildings, public safety and security. Welcome to the new utopia of Smarter Cities! What is the Strategic Value of Sports Marketing? To the discerning fan, the Tour De France or Le tour De France as the French call it, is not only the great marketing coup but arguably the most enduring sports event on the planet. Even to the uninitiated viewer, 23 days covering 3,500 KMS of riding makes this one of the most spectacular events in the world’s sporting calendar. Sports, like music is the great universal language that penetrate hearts and minds no matter which part of the globe you come from. Enter Sports Marketing! Sports Marketing is not a new concept. In fact it has been around since the early Olympics. However, with the advancing of mainstream media and the internet, it has truly shot up top in marketing activity. According to A T Kearney research, the Sports Marketing industry is now worth about $600 billion. Sports Marketing is now so mainstream that some organisations hire sports marketers, and in certain markets there are sports marketing associations. Sports marketing brings into play (no pun intended) the full mix of marketing and more. It builds on classic Brand Association and create a Brand Personality to the yearning billions of consumers / brand stake holders around the globe. Consider the global reach brands such as Manchester United and Barcelona FC have achieved across many continents. And ponder for a moment the brand image created through the brand ambassadorship of Rory McIlroy for Nike, David Beckham for Adidas, Usain Bolt for Puma, and George Foreman for Salton. Some other legendary sports marketing sponsorships include Wimbledon – IBM and Slazenger, FIFA World Cup – Addidas, Indian premier League – Pepsi, and Formula 1 – Rolex. This brings me to the final point as to which is the greatest sporting event on the planet? There are many differing opinions on this. However, here is according to one source the top 10 biggest sporting events, which I think is a very accurate ranking. Behold the wonder of branding! 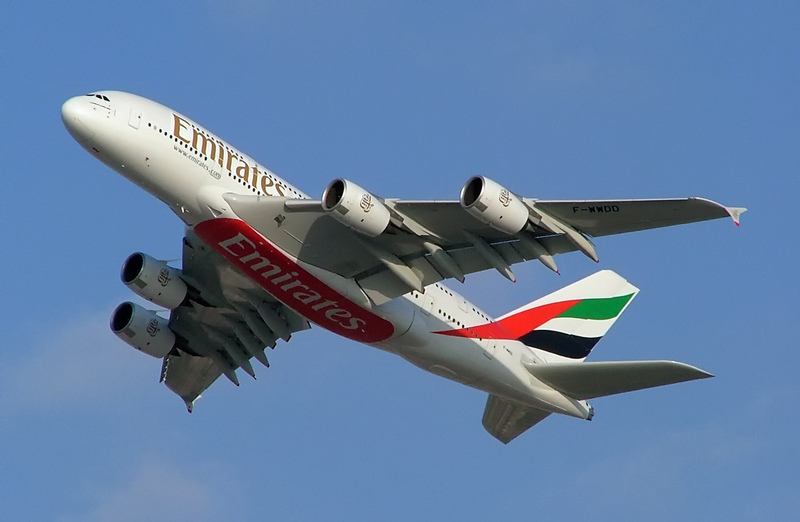 Some branding observations I made this week included seeing the brand livery on an Emirates Airlines jet, with its logo from side to side and (yes) on the under belly of the plane. I also saw 26 product placements (AKA embedded marketing) in a 30 second sports interview. In an era where digital marketing is much the hype and has taken centre stage, it is imperative to note that branding is largely based on scientific study of consumer behaviour. It appears somewhat, that the era of digital has thrown more focus on pushing technology out to the consumer as a primary form of gaining attention. The use of technology is mandatory for us to break the menacing media clutter faced by Marketers. That being the case, many learned Marketers would like to re-affirm that, consumer memory and brand choices are made through a complex set of memory systems that acquires, retains and recalls brand related information that is activated at the point of purchase / decision making. If this is all too much of a boggle, then stop reading now as it is about to get more complexed. Renowned Consumer Behavioural writer Frank Kardes explains that, the human brain comprises multiple memory systems. The brain retrieves information into the short term memory from it’s long term memory. Purchase decisions are may be made days, weeks or months after product/brand information is acquired. The gap in time between information acquisition and use must be bridged by what is known as a “memory system”. It is therefore essential that in order for long term memory to be de-coded properly it needs to be encoded effectively. If you are still with me, this is a big area of consumer behaviour study. Retrieving product information memory begins with the activation of a node (Kardes). However, once one node is activated, other closely related nodes are activated also. Simply stated, activation spreads. I think you get the picture here. The key principles of long term memory are – The Encoding-Specificity of long term memory, Organisation principle and Association principle. I will detail these 3 principles in my next blog due anytime soon. So, literally watch this space. A recent (IT) Brand Awareness study revealed that there are few market leaders and a large pack of followers. The ITSMA Professional Services and Solutions Brand Tracking study revealed that in the Consulting & Technology Services space, IBM is the one clear leader and the rest are distant followers when it comes to (un-aided) Brand Awareness. Given IBM’s consistent marketing positioning and continued differentiation in its messaging, it is no surprise Big Blue retained its position in this ranking for the 11th consecutive year. So then, how do we convert mind share into market share? The short answer is that, there is no Silver bullet. However, gaining leadership in a key marketing objective such as Brand Awareness is a huge win in the customer decision making process. Renowned advertising models (Dagmar, AIDA, Hierarchy-of-effects) all start at the cognitive stage of awareness of the decision making continuum. A strong brand awareness indicates that, the advertiser has succeeded in positioning and differentiating the brand above its competitors. There is a distinct co-relation between mind share (Cognitive), and market share (Behavioural). Empirical evidence has proven that persuasive marketing communications lead to positive market outcomes. Brand awareness leadership is a reflection of an organizations strategic planning and marketing mix decision skills, and these are intrinsically linked together. In summary, share of mind (un-aided brand awareness) is an important step in gaining a favourable customer response to the brand/advertising stimulus. A consistent product and/or service delivery on the brand’s promises, will lead to sales growth and consequent market share growth. What can Marketers learn from The Boss? For the first time I witnessed the sensational Bruce Springsteen (The Boss) in Sydney this week. To say that he left the audience in thunderous raptures is an understatement. His Wrecking Ball tour performance in Sydney was an absolute cracker. I have not been a big fan of The Boss but what I witnessed was good enough to convert even the greatest sceptic. As much as I know this was an extraordinary display of musical talent, it was also about marketing and delivering the Springsteen brand. 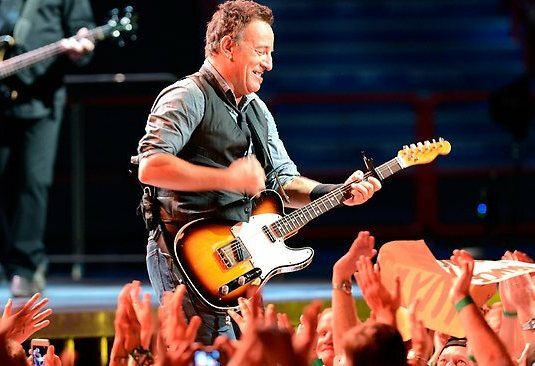 So, let me draw some parallels between Brand Marketing and Bruce Springsteen. Firstly The Boss delivered way beyond any expectation (I can testify to this as I was there). He delivered more entertainment than what he charged for (by many other concert standards). He went far beyond the notion of value for money. He had the most astounding emotional connection with his audience (his on stage persona had to be seen to be believed). And last but not least, he had oodles of passion for what he did and he demonstrated that in no small measure. Bruce Springsteen transcended the boundaries of age, race, gender, and culture. And he knew his audience intimately. He demonstrated the principles of Brand Marketing very well. Firstly, He packaged the Marketing mix elements of this experience brilliantly. In connecting with the audience in a very intimate manner, he displayed emotive Branding at work. Consumers connect with brands at both a rational and an emotional level. While rational aspects of a brand are largely tied to tangible benefits of the brand, emotional aspects are tied to the non-tangible benefits. In forming Brand Attitudes, consumers are sub-consciously drawn to these emotional aspects of a brand. These emotive aspects form the backbone of the brand (attitude) and are largely influenced by 2 main pillars of branding. 1) Brand Platform – This incorporates the Brand Values (Innovation that matters, Dedication to every clients success, Trust & responsibility – IBM), Brand Promise (The ultimate driving machine – BMW), Brand ambition (We will be recognized as the brand that makes personal contact the most important element in mobile communications – Ericsson), and Brand Personality (Creative, Innovative – Apple, Outlaw – Harley Davidson). A clear single minded articulation and delivery of these brand platform elements are quintessential to brand success. 2) Brand Beliefs – Brand beliefs are shaped by positive Brand Attributes. For those who are academically inclined this can be expressed as a formulae (Ao=∑biei). The theory of Reasoned Action (Fishbein & Ajzen) suggests that beliefs are combined additively to form attitudes. The greater the number of favourable beliefs one holds, the more favourable ones attitude towards the brand. As organizations seek to exceed in their delivery of product/service attributes so can they expect an increase in the brand beliefs. In keeping with good branding principles as mentioned above, over the past 40 years Bruce Springsteen has endured time, remained vibrant, energetic, and relevant, and re-launched himself in order to keep his personal brand on top of his fans hearts and minds worldwide. The 4 most important trends affecting CMO’s. The advent and proliferation of Social Media and other Web 2.0 tools have changed the Marketing landscape forever. In this context, I like to present some facts and observations on this fascinating shift that is making Marketing headlines these days. According to the largest CMO (Chief Marketing Officer) study done in the world, here are the 4 trends that are most pervasive and game changing for most CMO’s. At the same time the digital revolution is providing unprecedented opportunities to engage with customers, business also face the daunting tasks of staying afloat in the digital ocean. The world now creates as much information every 2 days as we did from the dawn of civilization*. Therefore todays CMO’s have to do much more data crunching than their predecessors. Everybody is aware of the power of Social media which has lead to the “5th wave” in Information Technology. Its impact on global businesses is indisputably phenomenal. There is also a proliferation of intelligent devices such as smart phones, tablets, game consoles, and e-readers. These smart devices are part of consumers everyday trimmings and is also increasingly used as BYOD (bring your own) devices within the enterprise. The explosion of data, social media, growth of channels & devices, and shifting consumer demographics, have brought about massive challenges to CMO’s. None the least, a game changing shift in mind set from traditional to new age Marketing. But alas, according to this study more than 50% of CMO’s feel they are under prepared to manage these new challenges. I remember an old saying if you can’t change something, change your attitude. And so with every challenge arrives and opportunity. All of the above trends provide Marketers an enormously fertile ground to engage with new customer segments, and also analyse/predict information like never before. Social media and enterprise-wide collaboration, Customer analytics, CRM, Mobile applications, Content management, Tablet applications, Single view of customer, Predictive analytics, Reputation management, SEO, and Marketing campaign management. Social Media – hype or value add to Marketing? At an ANZ Marketing Forum recently, A renowned Marketing academic who delivered the key note address questioned the wisdom of Marketers being over zealous about Social Media. He went on to warn about the dangers of blindly jumping on the Social Media band wagon. As much as this came as a shock wave to some, to others in that audience it was a not so radical statement. Allow me to remind that Marketing academics such as Philip Kotler propagated “Social Marketing” back in the 1970’s long before the Internet as we know of today was even invented. (Kotler & Zoltman 1971). Kotler wrote about galvanizing “social” communities back then. However, here lies some key differences. The “Social” medium as we refer to it today has far more greater audience reach, is more instantaneous, and popular than it ever has been. The technology available to both Marketers and consumers to engage dynamically is vastly different from any other era known to us. Tuning into the radio just this morning, I heard that with new real time bus apps bus users in Sydney will be able to use their smart phones to track how far away their next bus is. Amazing! From a Marketers standpoint, the technology available to engage in “push” Marketing as well as to track consumer sentiment, and measure Marketing $$$ spent on “on line” has never been available like this in the past. For practicing Marketers, Social Media should not be confused with Strategy. Building Marketing Strategy involves staying true to a rigorous set of Strategic planning principles and modelling. Social Media therefore is the tactical outcome of that strategy. Social Media is today’s new “above the line”. It is a pervasive medium used to reach the target market. In using Social Media Marketers still need to exercise good Marketing rigor of Segmentation, Targeting and Positioning as well as selecting the right Social Media “mix” to achieve maximum target audience reach. Whilst Social Media has captured the global attention and has indeed come to the forefront of Marketing communication, it is also an unknown maze where you can squander a lot of un-accounted for Marketing $$$. So, just as much you would apply ROMI on traditional media spend (IE. TARPS, Cost Per Thousand etc. ), it is imperative similar analysis like Click Through Rates (CTR), Cost Per Click (CPC), and Real Time Engagement be used in order to ensure the right social media “mix” is selected. 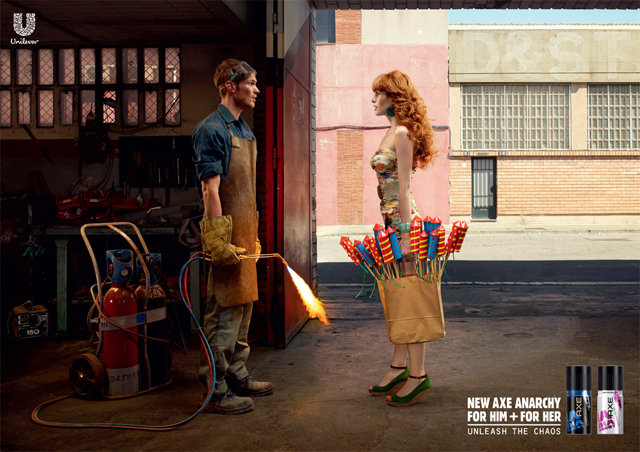 Here are 2 of my favourite new print ads. Needless to say they featured as winners of the prestigious Caanes Lions Advertising Awards for 2012. The 2 ads are for Axe fragrance and Maxam toothpaste. I despise adverts (Brand Managers, and Creative Directors) who do not generate a measurable ROMI (Return on Marketing Investment), by not adhering to what Marketers are taught as good Marcomms strategy and execution. I have had the good fortune of being in the company of renown Marketing academics and practitioners during my time as a Marketing student and professional. So in my opinion here’s what make these ads “click”. Great advertising is aimed at captivating the target audience, and compelling the viewer to respond (favourably) to given stimuli. If this sounds like some deep theorem, it is exactly that. Markcomms follow the basic premise that attitudes towards Brands / Products are formed in the sub-conscious. Hence, why at a deeper level Marketers/Advertisers are compelled to study the brain and consumer psychology. The ads discussed here constitute these essential properties in advertising:- EMOTION, a PROMISE, appeals to the TARGET CUSTOMER, states a KEY BENEFIT and/or a KEY ATTRIBUTE and highlights the product CATEGORY NEED. Effective advertising is clean, un-cluttered and delivers a “single minded” message to the intended audience, whilst creatively applying the above factors to an advert. If you cannot address the above criteria, it is prudent not to waste ad Dollars. Poor mediocre advertising seems like more common place in the Australian ad landscape, and Management (and consumers) are entitled to demand better innovation and creativity from advertisers. 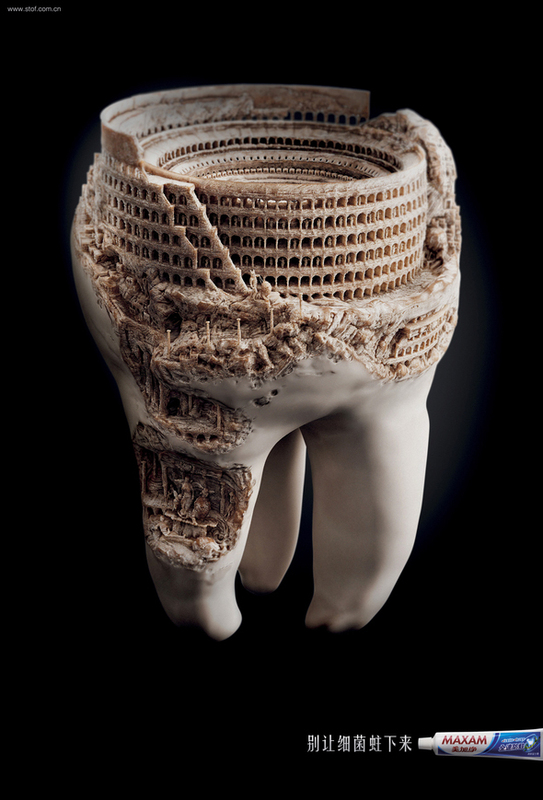 The ads described here were the creative works of BBH London (Axe) and JWT China (Maxam). Other notable brands that won were – Benetton, Rayban, Amnesty International as well as Carlton beer and Volkeswagen both created in Australia. My name is Grahame Davidson. I have dedicated most of my professional life to explore the science of Marketing. I always challenge my understanding on how customers respond to marketing stimuli. Aside from marketing, I am an avid fan of Jazz and Blues. I enjoy cycling and Yoga. Thanks for visiting this blog, please do leave a comment before you go. On any given day, if you were to visit the Brandless headquarters in San Francisco, you will see something unexpected for a read more: The post Branding with Soul: 5 Questions with Tina Sharkey, co-founder & CEO, Brandless appeared first on brandchannel:. Ask any CEO what their top priority is, and their answer is likely to come down to this: managing change from outside read more: The post The Outsider Inside: 5 Questions with Beth Comstock, author and former Vice Chair, GE appeared first on brandchannel:. “Peace.” It’s a word filled with possibility. But, often, cynicism. “Peace” may feel like an abstraction, a hippy-ish, idealistic notion that can’t read more: The post From an Idea to a Movement: 5 Questions with Jeremy Gilley, Founder of Peace One Day appeared first on brandchannel:. Airbus – the aerospace pioneer and manufacturer – have spent the best part of the last 40 years growing to become one read more: The post 5 Questions with Airbus appeared first on brandchannel:. Brandspeak: Want 100K Colleagues to Think Brand First? The following guest post is by SAP senior director Joe Pantigoso. How do you get brand-first thinking and behavior on the radar of colleagues across a company? read more: The post Brandspeak: Want 100K Colleagues to Think Brand First? appeared first on brandchannel:.